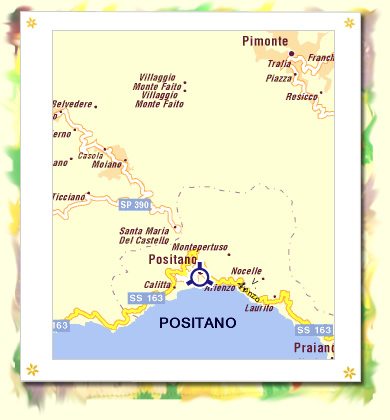 Take the autostrada del Sole to Naples and follow the signs for Salerno-Reggio Calabria motorway, which you take as far as the Castellammare di Stabia exit; from there, follow the signs for Positano. Take either route SS.163 Amalfitana or the Salerno Naples motorway to Castellammare di Stabia, as above. The most convenient railway station in Naples is that of Napoli Centrale, at Piazza Garibaldi, where on a lower level you can get a Circumvesuviana local train to Sorrento; buses for Positano leave from the square in front of Circumvesuviana station at Sorrento. 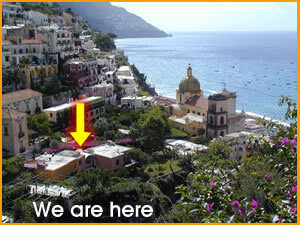 If you arrive at Naples Capodichino airport, take a taxi or bus to Circumvesuviana station, as above.